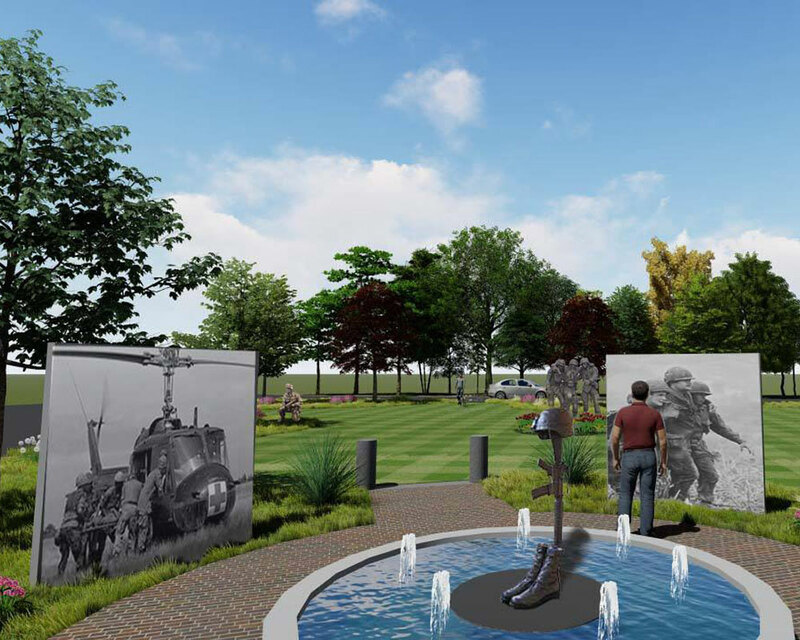 Haverhill’s Vietnam Veterans Ad Hoc Commission is preparing to honor one of their own as the second phase of design upgrades are implemented at the Mill Brook Park memorial site. On Wednesday night, the community group appointed by Mayor James J. Fiorentini unveiled plans for a revamp that will pay tribute to the late John E. Ratka, a member of the Commission who died suddenly on Jan. 12. As Commission Chair Ralph Basiliere tells WHAV, the memorial’s upgrades allow the group to focus on a mission to better the community in their time of grief. Under the leadership of commission member and City Councilor Melinda E. Barrett, the group recently met with the City of Beverly, and Basiliere said they drew inspiration from what they saw there. One aspect Basiliere and fellow commissioner Thomas J. Sullivan hope to replicate an educational piece Beverly displayed to represent the draft. Subtle art pieces and benches that allow visitors to pause and reflect are also planned, as renderings from architect Fred Clark illustrate. Landscaping maintenance is being donated by Haverhill’s Cutting Edge Lawn Services, with Brightside planning to formally adopt the park. In the interim, Basiliere hopes the community will rally behind the Commission to pay tribute to Ratka and all of Haverhill’s fallen veterans. Online payments will be accepted in the coming months, and checks are currently accepted via mail to the attention of the Treasurer’s Office at City Hall, 4 Summer St., Haverhill, MA 01830. Please indicate funds are for the Vietnam Commission in the memo line.